Cristiano Ronaldo congratulated José Mourinho and Lionel Messi for the awards and said that next year he'll win the "Fifa Balon d'Or" trophy. 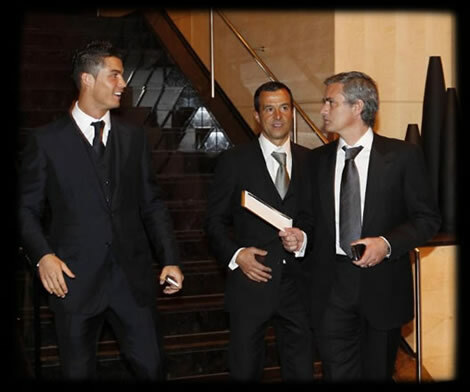 Cristiano Ronaldo showed up at the Zurich Kongresshaus for the FIFA 2010 football awards ceremony, which awarded the FIFA World Player of the Year 2010 trophy (also known as "Balon d'Or") to Lionel Messi, from Barcelona, who had to beat his own team mates in the process, Xavi Hernandez and Andres Iniesta. For the first time in History, Fifa also delivered the trophy for the Best Coach of the World (2010), which was won by José Mourinho (Real Madrid), who had to compete against Vincente Del Bosque (Spain National Team) and Pep Guardiola (Barcelona). There was still time to announce the Fifa Best Eleven for 2010 and that's another award Cristiano Ronaldo can add to his collection. 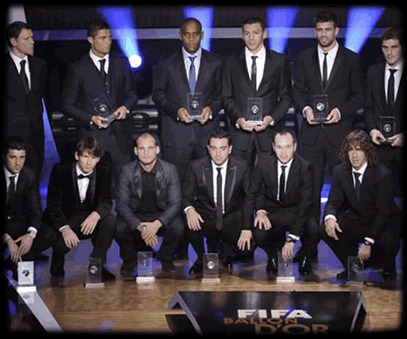 The FIFA Pro World XI for the year of 2010 is the following: Casillas (Real Madrid); Maicon (Inter Milan), Lúcio (Inter Milan), Piqué (Barcelona) and Puyol (Barcelona); Xavi (Barcelona), Iniesta (Barcelona) and Sneijder (Inter Milan); Cristiano Ronaldo (Real Madrid), David Villa (Barcelona) and Lionel Messi (Barcelona). 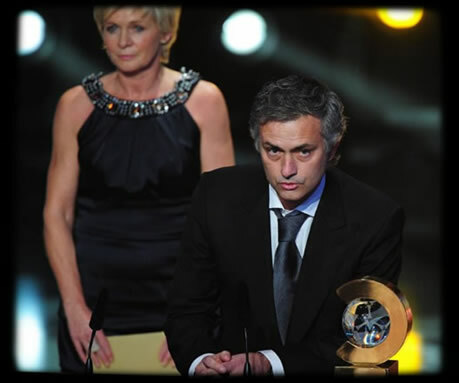 After being aware that José Mourinho was going to win the trophy for best coach of the world in 2010, Cristiano Ronaldo didn't lose time and immediatly congratulated him: "Mourinho deserved it at 100%. 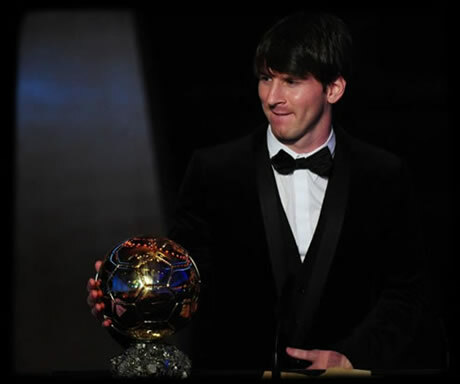 He's the best in the world. I really appreciated his attitude of greeting the players from his last season team, when he was heading to the stage to receive the trophy." One of the highlights of the night took place when Cristiano Ronaldo showed his fair-play by approaching Lionel Messi after the award, in order to congratulate him for the trophy. That's a relevant and noticeable fact, which unfortunately doesn't seem to be reported by many newspapers, but Ronaldo7.net couldn't let it slip away obviously. The photo shown in the top of this article shows that exact moment, when Ronaldo greets Messi and José Mourinho also shows his respect and congratulates the argentinian player. Credits to the portuguese newspaper "A Bola" for the photo. But the best was yet to come and Cristiano Ronaldo showed his good humour disguised as a confident promise for next year. When the journalists asked Ronaldo about his expectations for next year's award, the portuguese phenomen responded immediatly while smiling: "I came to warm up the bench, so next year i can get here and win it."